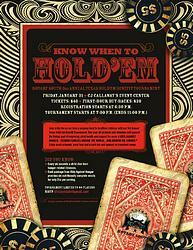 Join in the fun as we deal a winning hand to healthier children with our 3rd Annual Texas Hold 'em Benefit Tournament. 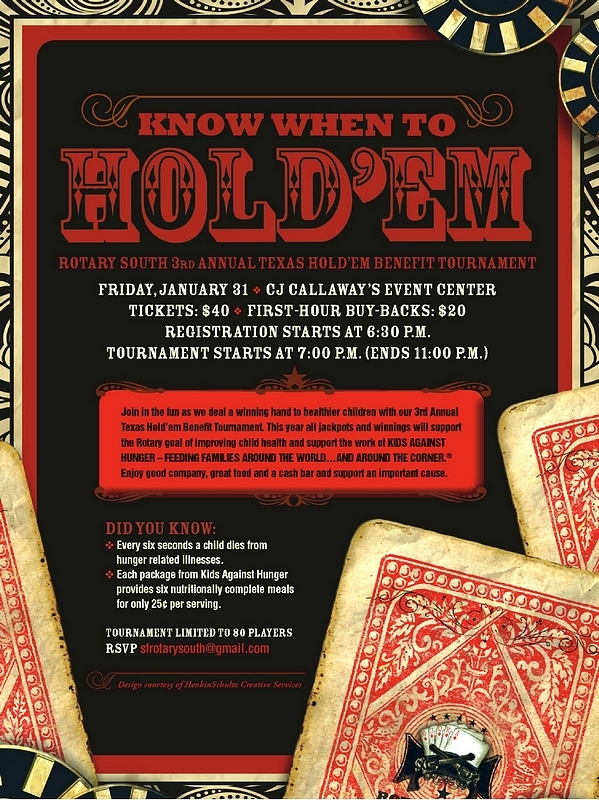 This year all jackpots and winnings will support the Rotary goal of improving child health and support the work of Kids Against Hunger - Feeding families around the world . . . and around the corner.